Students were the focus of the Trustee Council Annual Meeting (TCAM) Nov. 1-3 on the Ithaca campus. More than 650 of Cornell’s most engaged volunteers—members of the Cornell University Council and the Cornell University Board of Trustees—gathered to learn about and connect with students and, through this lens of the theme “Student Stories,” stay up to date on the state of the university. 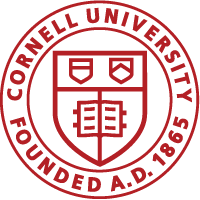 The meeting gives trustees and Council members, who serve as ambassadors for Cornell, an annual update and inside look at the university. These alumni volunteers were excited to hear about the university from students themselves, said Laura Denbow, senior director of the Office of Volunteer Programs. She added that many personal connections started between alumni and students throughout the three days. Read the full article on the Alumni Affairs and Development website.